Michael Shur joined RPI in 1996. He has held research or faculty positions at the University of Virginias, A.F. Ioffe Institute, Cornell, and the University of Minnesota. He is Fellow of National Academy of Inventors, IEEE, IET,APS, ECS, AAAS, and former Vice-President for publications of IEEE Sensor Council. He received the IEEE Ebers Award, Distinguished Faculty Naval Research Fellowship, William H. Wiley 1866 Distinguished Faculty Award, Rensselaer Outstanding Engineering Professor Award , Honorary Doctorate, Vilnius University, IET Achievement Medal; ECS Electronic and Photonics award, IET Achievement Medal, Tibbetts Award from USA Small Business Administration for as Distinguished Lecturer for the IEEE EDS, IEEE Sensors Council, and served as Distinguished Lecturer for IEEE MTT. Professor Shur has authored over 1,000 technical publications; given more than 300 plenary, keynote, and invited talks and conference presentations; authored, co-authored, or edited 38 books and 29 book chapters and holds many patents on solid-state devices. 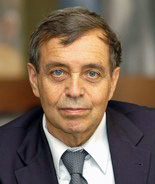 He is a Fellow of the Institute of Electrical and Electronics Engineers (IEEE), a Fellow of the American Physical Society, Vice President of the IEEE Sensor Council, a former chair of the U.S. Chapter of Commission D of the International Union of Radio Science, editor-in-chief of the International Journal of High Speed Electronics and Systems, and a member of the honorary editorial board of Solid State Electronics magazine. In 1990 to 1993, he served as an associate editor of IEEE Transactions. The Alexander von Humboldt Foundation in Bonn, Germany named Shur a Humboldt Research Award Winner.